Soft Washing: optimal washing solution and when do you need it? 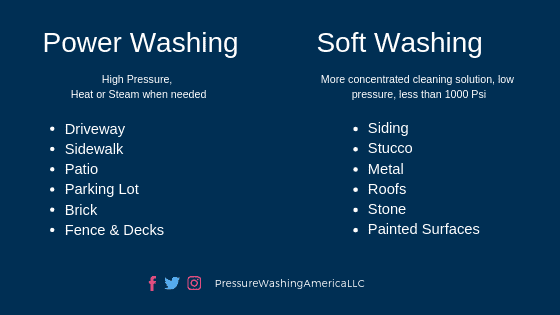 What is soft washing and why do you need it? You have probably heard the classic song of Fugees “killing me softly”. Remember? Yes! That very soft and killa song. Now you wonder what has the song to do with soft washing. Patience? Yes! We are using comparison here to show you what “soft washing” is and how satisfying it is. Killing softly the dust and dirt is equivalent to the effect that the song gives. This cleaning method is doing no harm only good. Soft washing systems completely remove all mildew, algae, moss, lichen and other bacteria infesting the surface of your property. With their gentle, low-pressure mechanism, and even biodegradable exterior cleaning solutions used in the system. these microorganisms are eradicated with no damage creating results that last longer compared to other washing systems. Singing our lives to soft washing. Why is it more recommended than pressure washing? The use of high-pressure cleaning equipment is generally recommended for surfaces that are harder and less porous. Sidewalks, driveways, and even garage floors are commonly cleaned using high-pressure power washers. But these pressure washers frequently damage roofs, windows, but soft washing cleans the windows without any danger of water penetrating the framing around the window and creating hard-to-repair damage. Even many decks should not be cleaned using high-pressure equipment, since they have soft surface and can easily be damaged during the pressure washing process. If you still hesitate what type of washing you need, keep reading and get to know the benefits of soft washing for your clean and neat house. How beneficial is soft washing? 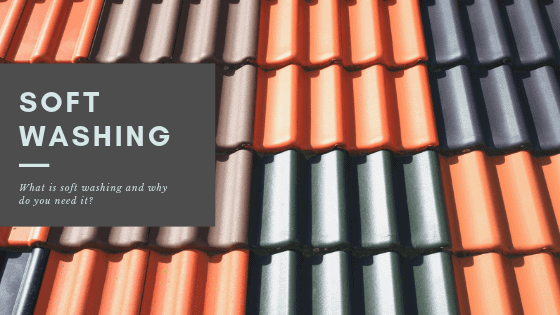 But what we advise you is to call your local pressure washing experts in Houston Texas, who will skillfully assist your home with soft cleaning solutions to have your roof, deck, stains, patio and more ecologically washed and cleaned. Why? Because each machine has its techniques and special features that only the professionals are aware of. low pressure washing is becoming a preferred way to perform maintenance cleanings while implementing social responsibility towards our environment. Soft washing shouldn’t be ignored. It’s one of the few cleaning systems that allows us to clean and sanitize from the safety of the ground or platform using low-pressure equipment as well as the exterior surfaces using safe and natural chemicals.